Watch this funny, local 3-minute Rotary video - your club can use this video too! 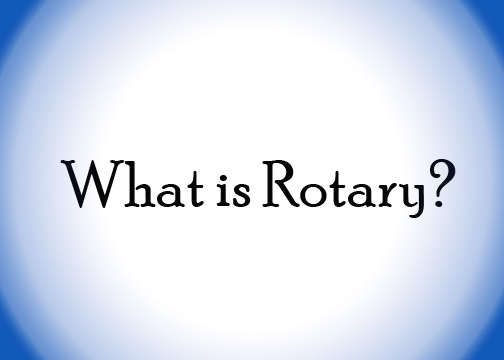 The 5 Fargo-Moorhead Rotary Clubs and District 5580 (with the support of PR Chair Craig Loughery) have produced a funny 3-minute professionally produced video entitled "What is Rotary?" Here is the link: https://www.youtube.com/watch? v=coqag4TufB0&t=6s Take 3 minutes from your day to watch this - you won't regret it! There were over a dozen Rotarian actors in the video, and it's already the 18th highest ranking video in the world under the Google / YouTube search on "What is Rotary?" The best part of all is that this video can be made available to YOU and other Rotary Clubs who want to localize it to your local region. We would replace the "fmrotaryclubs.org" URL at the end of the video, and replace it with your club's (or region's) URL. If you would like to do this, please contact Heather Ranck - haranck@yahoo.com - from the Fargo Rotary Club and the cost to your club or region will be $200 to cover video production and administration costs. As part of this video production announcement, the FM Rotary Clubs have also put together a 5-club landing page www.fmrotaryclubs.org so that prospective members can find information on all 5 clubs in the region in one click. Holly Anderson Battocchi from the FM-PM Club has put this website together.